Turn your holiday into a zoo with felt animals! 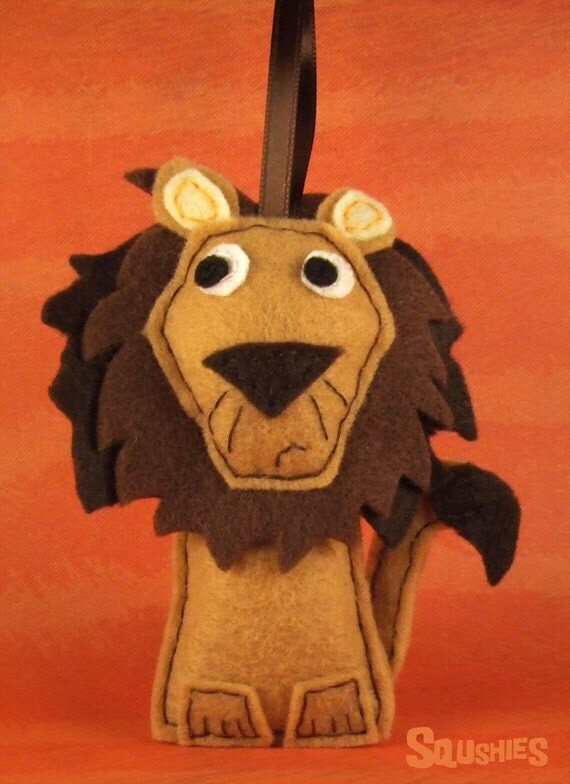 This felt ornament is Oscar the Lion. A brown ribbon stitched securely inside makes him easy to hang as a Christmas ornament or to use as a gift topper. Oscar makes a fun gift for a fan of lions. Folksy :: Buy "Christmas Tree Decoration"